Hyundai Heavy and KDB will sign an official deal in early March. Last month, the two signed a temporary deal. KDB said earlier it would contact Samsung Heavy to see if it is interested in the Daewoo Shipbuilding takeover. 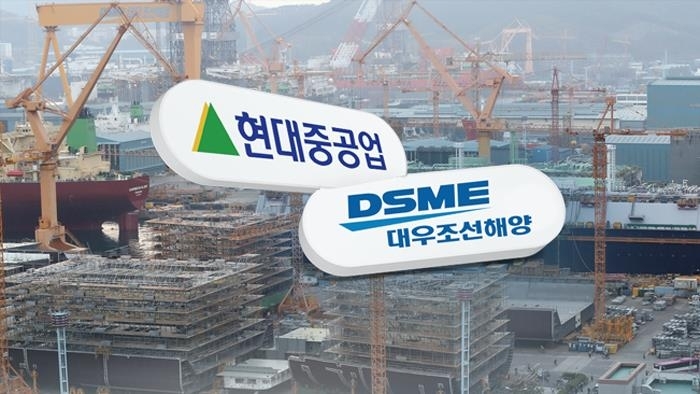 If the takeover, estimated at over 2 trillion won (US$1.78 billion), goes ahead, the South Korean shipbuilding industry is expected to be dominated by two major shipbuilders -- Hyundai Heavy and Samsung Heavy.